KUALA LUMPUR (Feb 26): Budget airline AirAsia Bhd swung to a net loss in its fourth quarter ended Dec 31, 2014 (4QFY14) to RM428.51 million from a net profit of RM168.5 million a year ago due to foreign exchange (forex) losses and lower net operating profit. Loss per share was 15.4 sen compared with an earnings per share of 6.1 sen.
Revenue, however, climbed 15.8% to RM1.48 billion from RM1.28 billion in 4QFY13. AirAsia (fundamental score: 1.3; valuation score: 1.8) said its net operating profit for 4QFY14 fell 9% to RM109.8 million due to higher finance costs relating to bank borrowings as the airline took delivery of new aircraft and to finance its new AirAsia headquarters at klia2 in Sepang. “The adverse movement in the exchange rate, which has gone up by 7% year-on-year, resulted in unrealised forex losses on US dollar-denominated borrowings that are translated at the closing rate of each reporting date,” it said in a statement today. It attributed the revenue increase in 4QFY14 to the double digit growth in both average fare and ancillary income per passenger, which increased 13% and 31% year-on-year respectively. The airline’s cost, measured in terms of cost per available seat-kilometre (CASK), rose 9% year-on-year to 13.51 sen, mainly due to an increase in depreciation cost with additional aircraft added to AirAsia’s book, higher landing cost as Malaysia Airlines Holdings Bhd increased its landing charges by 9% last year, coupled with higher US dollar-denominated international route charges. The poor quarterly results dragged AirAsia's net profit for the full financial year ended Dec 31, 2014 (FY14) down 77.1% to RM82.84 million from RM362.12 million the previous year. This was despite revenue climbing 5.9% to RM5.42 billion from RM5.11 billion in FY13. In a filing with Bursa Malaysia today, AirAsia said the revenue growth for FY14 was supported by an 1% increase in passenger numbers and a 3% increase in unit passenger revenue to RM211 from RM204 achieved in FY13. “Ancillary income per passenger increased by 15% to RM46 in FY14. The seat load factor was at 79%, one percentage point below that in FY13,” it added. AirAsia group chief executive officer Tan Sri Tony Fernandes said the airline has seen the competition becoming more rational in the second half of 2014. "After five consecutive negative year-on-year average fare performances, starting from 3QFY14 we have seen the curve moved back in the positive side in 4QFY14, allowing us to record a good double-digit growth in average fare of 13% year-on-year to RM171. "This trend is continuing into 2015, and coupled with the low fuel price, the airline has decided to remove its fuel surcharge to push demand up further," he added. For the whole of 2015, Fernandes said AirAsia group has also hedged 50% of its fuel requirements at an average hedge cost of US$88 (RM317.68) per barrel for jet kerosene, which brings its effective cost now down to US$80. Fuel accounts for some 50% of the airline's total cost. 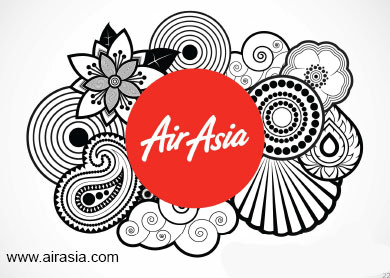 Fernandes also said AirAsia will take delivery of fewer aircraft in 2015 and focus on growth from the existing resources. This year, we will be taking delivery of only five new aircraft from Airbus which will be deployed to Thailand, India and the upcoming Japan market, he added.